At the high-end of Hilton-branded hotels, the Conrad Tokyo is a posh property with lots to love. 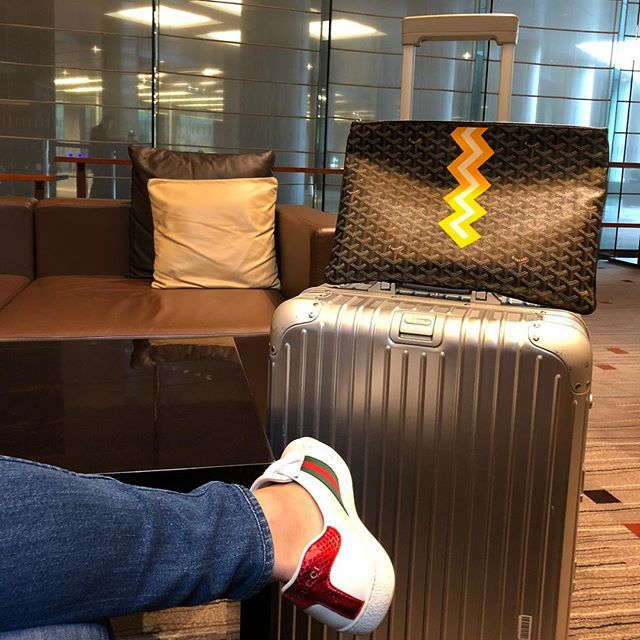 Mixing contemporary style with Japanese touches, the hotel is refined with a level of service that rivals every top hotel in the city. You’d be hard-pressed to find a friendlier staff and the pool, spa, gym, and restaurants are all exceptional. Simply stated – the hotel is exceptional. Sleek bedrooms have floral print carpeting, insanely beautiful views, and moss green and brown banquets against the windows. 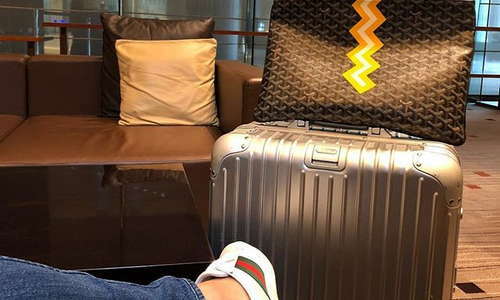 All rooms come with complimentary Nespresso coffee makers, tea, and water and there are Bose Bluetooth speakers as well (though you can’t take them). There’s a great pillow menu here to ensure a perfect night’s sleep. If you stay in one of the suites, look closely, as the pillow cases have your monogrammed initials on them. Bravo Conrad. Bravo. Peek-a-boo bathrooms have standalone sunken tubs and separate rain showers. You’ll find granite countertops and black tile floors along with brutally honest circular mirrors (the lighting is model quality – so look the part). Bath products are by Aroma Therapy Associates. 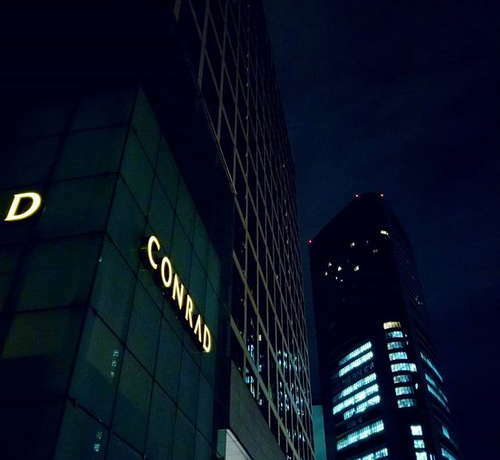 Don’t forget to take your Conrad Hotel rubber ducky home with you. The beautiful lobby is on the 28th floor and you’ll discover artful masterpieces hung throughout. Views are especially stunning and worth lounging around for sunsets. Open from 6 a.m. to 10 p.m., the 25-meter indoor lap pool has enormous window views and comfy lounge chairs, perfect for curling up with a book during sunny days. Once a month, the hotel offers Moon Yoga classes by the pool for around 5,000 Yen. Mizuki Spa is one of, if not the largest spa in Tokyo. Inside you’ll discover a range of out-of-this-world treatments in addition to steam and sauna facilities and Hinoki baths to ease those muscles before or after a massage. The fully equipped gym has hardwood floors, TechnoGym cardio machines, and lots of free weights. The hotel offers a range of fitness classes from yoga and Pilates to aqua aerobics and core training. YOU SHOULD KNOW Classes aren’t free. It’ll run you 2,500 Yen to participate. There is a lot to like in the dining category. The best restaurant is arguably Kazahana that prepares mouthwatering kaiseki meals. Collage is the hotel’s French restaurant, China Blue has Cantonese cuisine, and Cerise is the all-day dining spot with a mix of menus. During cherry blossom season, the hotel prepares special bento boxes to take out for a picnic under the beautiful trees. They only make 10, so plan ahead. TwentyEight is the 28th floor bar with epic views and classic cocktails. It’s a great date spot as there’s live music every night. 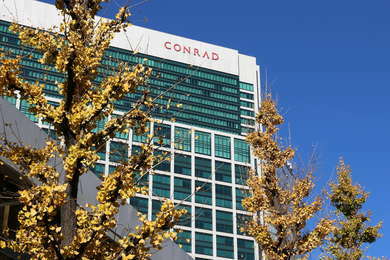 The Conrad is part of the Shiodome complex which is attached to the subway system and is also a great walking area. There are raised walkways that connect all the buildings around here so you won’t have to fight traffic to find restaurants, shops, bars, and attractions. The hotel is fairly close to the famous Tsukiji Fish Market. If you can get up early – 4/5 a.m. – you can get in line at Daiwa Sushi (13-minute walk) for a freshly caught sushi breakfast. It’s worth it. Inside the Shiodome City Center there are dozens of restaurants. Check out Stand Bar Cutlet Maruya (4-minute walk) where you guzzle beers, chow on tonkatsu pork cutlets, and do it all while standing up – quite novel. Also inside the Shiodome City Center is Sky Bar Spade (4-minute walk) a 41st floor spot with stellar sips and views. If you go next door to the Park Hotel you should check out The Society Bar (3-minute walk) which has over 100 single malts to choose from. Staying at a Hilton hotel can often feel like a cookie cutter corporate entity. 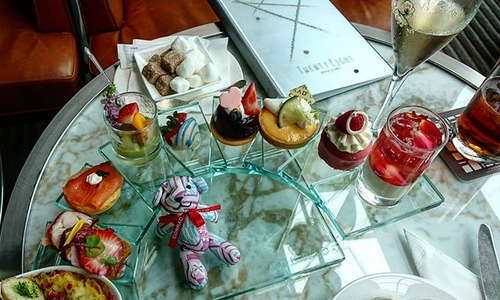 The Conrad is anything but and is a five-star treasure in a city filled with them. There’s little not to like here – the restaurants are exceptional, the spa is soothing, the pool is stunning, and the staff is extraordinarily friendly. 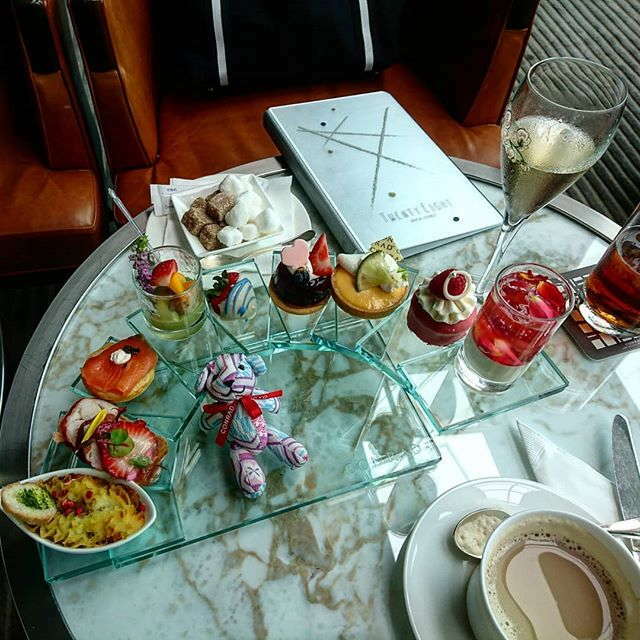 If you’re willing to spend extra, splurge for an executive floor room so you get access to the lounge with multiple meal services, afternoon tea, and lots of free booze.